According to Diario Gol, Real Madrid winger Gareth Bale could be leaving the club at the end of the season, with Manchester United suggested as a potential destination. The Daily Star say the Welsh international could return to former side Tottenham, which would see Harry Kane going in the opposite direction. However, United are believed to be the preferred move for Bale, as the £53m man is keen to play for Jose Mourinho. 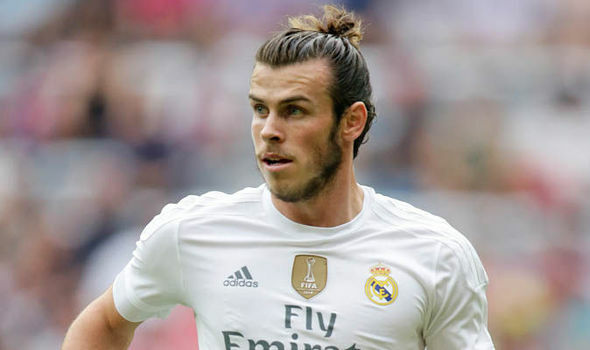 Bale joined Real from Spurs in 2013, and has gone on to score 76 goals in 168 appearances for the Spanish La Liga side in the last five years. The 28-year-old has bagged 26 goals in 68 games for the national team, and is still one of the best forwards in Europe despite his injury woes. He’s scored and created 10 goals in 12 games in La Liga and the Champions League this season. Los Blancos are struggling to defend their title, however, as they currently sit fourth in the table and 19 points adrift of leaders Barcelona. The uncertainty surrounding manager Zinedine Zidane, coupled with Bale’s injury problems, may see him consider a new challenge. The former Southampton man has won three Champions League trophies, three FIFA Club World Cups, three UEFA Super Cups, one Copa Del Rey and one Spanish Super Cup. He’s been a good servant for Real, and has four more years on his deal, but Manchester United’s interest doesn’t appear to be wavering.